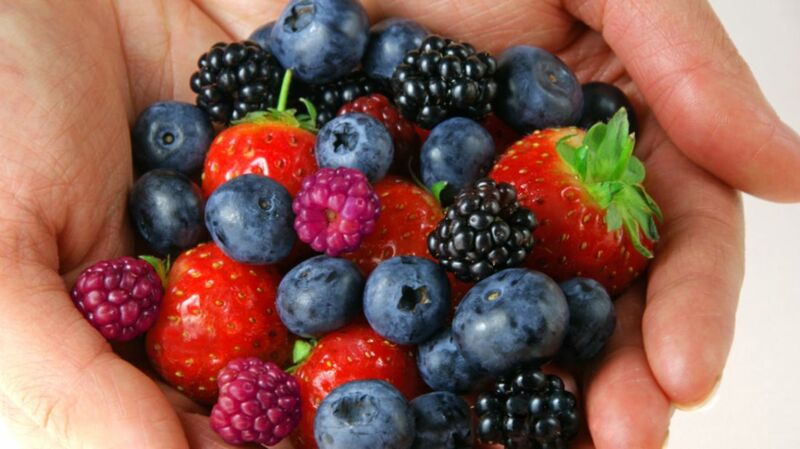 Antioxidants are a class of molecules that are capable of inhibiting the oxidation of other molecules. Within the body, this means that antioxidants fight free radicals (highly reactive atoms or group of atoms, for those of you who are a little foggy on 10th grade Chem) to help combat the natural decline of aging and decrease your chances of contracting many serious conditions. Although there’s a surplus of antioxidant supplements on the market, health experts espouse the extra benefit of meeting your antioxidant quotient from the foods you eat. Antioxidants found in your morning coffee or tea, known as polyphenol antioxidants, may help prevent heart disease. They work to prevent the oxidation of fat and thereby limit the internal inflammation that may increase risk of heart disease and diabetes. If you prefer coffee to tea, choose your roast carefully; light roasts have been shown to have a much higher antioxidant count than dark roasts. As is always the case, you should work with your physician if you believe you are at risk for heart disease. More and more studies show that there is a link between free radicals and mood disorders like anxiety and depression as well as complex neurological diseases such as Parkinson’s and Alzheimer’s. Antioxidants may work to combat neuroinflammation caused by free radical damage, which is thought to be a precursor to neurodegenerative diseases such as Alzheimer’s and Parkinson’s. By reducing free radicals, antioxidants have also been found to improve the symptoms associated with anxiety and depression. Free radicals are naturally formed by the body during exercise and through various energy processes in the body. At the same time, your body releases enzymes to keep these free radicals under control. Many antioxidants work by “quenching” free radicals’ need for an extra electron, thereby neutralizing these potentially harmful particles. So, by eating antioxidant-rich food, you add an extra layer of protection to your body’s natural defenses, helping to ensure that the usual enzyme defenses don’t get overwhelmed. Antioxidants in berries, such as such as vitamins E and C, may help defray the effects of aging and prevent or even reverse memory loss. They do so by helping to improve brain cells’ ability to maintain long-term communication and establish strong connections. Just as antioxidants in the body work to help slow down our aging process, it’s possible to slow the ripening—or over-ripening—process of fruits and vegetables by enhancing the concentration of their natural antioxidants through conventional breeding and genetic engineering. This allows produce to stay riper for longer, preventing food waste. Carotenoids, the pigments found in a number of fruits and vegetables, protect dark green, yellow, and orange plants from sun damage. When consumed, these carotenoids form vitamin A in the body, which also has a protective effect. Vitamin A regulates the pigment produced by the retina (the light-sensitive layer of tissue in your eye), helping to protect your eyes from sun damage while maintaining the functionality of your low-light and color vision. By neutralizing free radicals, antioxidants may help limit not just the internal deterioration caused by aging, but also the outward physical effects. Some studies have shown that antioxidants may reduce the signs of aging by minimizing wrinkles, preserving the texture of the skin, and even reducing your susceptibility to sun damage. Foods with high levels of unsaturated fat, such as butter and meat, are prone to going rancid quickly due to oxidation from exposure to the air. In processed meats, this is often described as a “warmed over flavor.” Not only does rancidity impart a foul odor and taste, it actually decreases the nutritional value of the food. Natural or synthetic antioxidants, like TBHQ, prevent rancidity by preventing oxidation. To learn more about the effects of antioxidants and other foods, check out the video below.